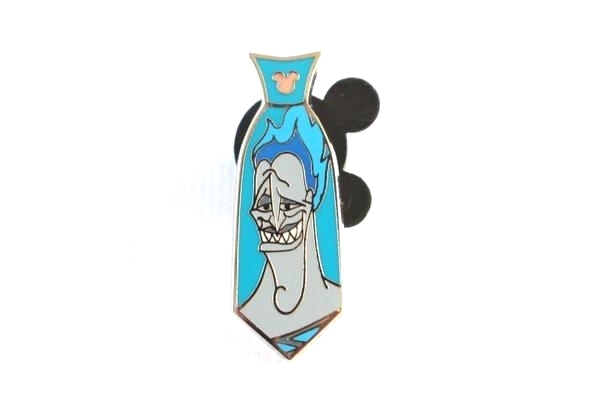 This Disney pin for sale features villain Hades from Hercules on a tie, and is from the 2015 Hidden Mickey series Villain Neckties. It's # 4 of 5 in the set. Don't be fooled by fakes, mine is guaranteed real.